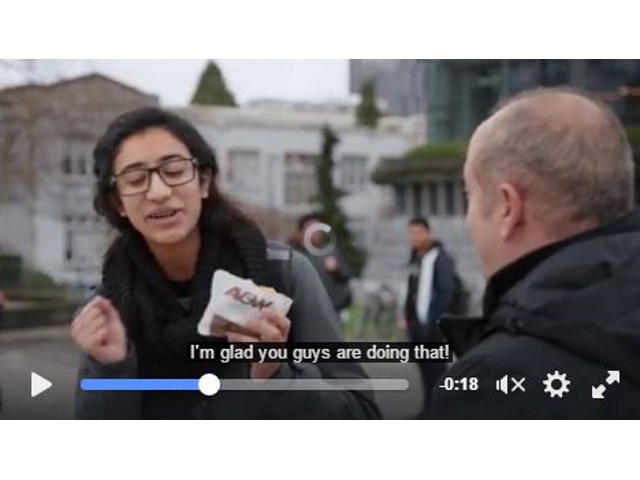 Facebook announced a host of new features for video ads Wednesday, highlighted by an automated captioning tool. The social network also introduced new metrics for brands deploying video ads, along with the global availability of 100 percent in-view ad buying and verified analytics from Moat, the latter two of which were initially announced last September. The automated captioning tool is aimed at improving the experience for Facebook users who view video ads and other videos with the sound off, and it generates captions for video ads, which can then be reviewed, edited and saved by advertisers via the social network’s ads create tool. Facebook said in a Facebook for Business post introducing the new features that 80 percent of users react negatively toward both Facebook and advertisers when they encounter loud audio from video ads in their News Feed, adding that its research showed that the addition of captions can help advertisers increase viewing times for their video ads by an average of 12 percent. Previously, advertisers were only able to add captions to Facebook video ads by embedding captions or uploading their own caption files. But soon, advertisers can choose to have captions added automatically. Our new automated captioning tool generates captions for video ads and delivers them to the advertiser within the ad creation tool to review, edit and save to their video ad. We wanted to let our guests know that we use chicken that is raised without antibiotics, so we created a video that told that story. We used the automated captioning tool to make sure everyone who watched it, with or without sound, could learn about our chicken. Adding captions increased watch time by 25 percent. While it remains our belief that value is created for an advertiser as soon as an ad is in view, we also believe in offering advertisers control and flexibility over how they run their ads. So to give advertisers more choice and control, we’re introducing a new buying option that allows advertisers to purchase 100 percent in-view impressions on Facebook. It’s critical to connect with your audience and capture attention right away. We know that 65 percent of people who watch the first three seconds of a video will watch for at least 10 seconds and 45 percent continue watching for 30 seconds. Consider video thumbnail images and titles that will hook people into your story. Brand colors, themes and imagery can help people connect the video to your brand. Front-loading lifestyle/product shots and recognizable spokespeople can create interest, as can scenes with action or vivid backgrounds. Since most video ads in mobile feed are viewed without sound, make sure to express your message visually. In one study of Facebook video ads, 41 percent of videos were basically meaningless without sound. Showing captions, logos and products can help communicate your message, even in silence.